This mind-map is a great revision tool for students aged 14 -16. 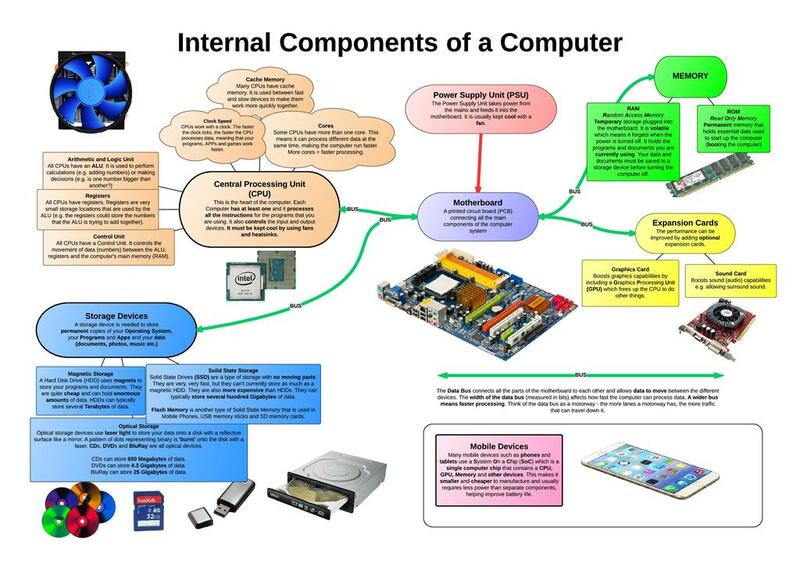 It covers the main components of a computer system including the CPU, memory and storage devices. Ideally, the students would complete their own mind-maps at the end of the topic. This sheet could then be used as a reference for the teacher or if printed out as an aide-memoire on the board or classroom display. Neil Kendall is the author of the resource.